A fiery Rajasthani lamb/mutton curry borrowed from the traditional kitchens of the maharajas, cooked with spices and a burst of red chillies. ‘Lip-smacking’ would be an understatement! The Fact: The Rajput Kings of Rajasthan were fierce hunters and meat lovers. They didn’t use tomatoes because at the time, tomatoes were not grown in the region. They used ghee or clarified butter in all preparations due of the scarcity of water. Food for them was meat and spice—I mean red hot, fiery ‘spice’. And that’s how their traditional, practical and nourishing ‘laal maans’ came to be born. The Inspiration: It was a relaxed Sunday afternoon when I was carelessly sprawled in front of the television set, flipping channels, that I came across the food adventures of this American chef who travels to the back of beyond to discover authentic local flavours. Here’s where I first heard about ‘Laal Maans’, which literally translates to ‘red meat’. The show was fascinating! So this American chef meets an Indian chef and together they travel to a tribal settlement in ‘deserted’ Rajasthan. They live and cook and clean with this tribe and somewhere in between create this lip-smacking delight! While I have the privilege of ready ingredients and a comfortable kitchen, these guys literally create this dish from scratch—and I don’t mean that lightly. Right from catching a goat and killing it; to milking the cows for milk and eventually, butter, curd and ghee (clarified butter); and finally building the fire for the stove, these guys do it all. Now that’s what I call ‘rustic’ and I’d trade my comfort for it, just for a day’s experience… or would I? … And so I called the folks over and what a true feast it was! 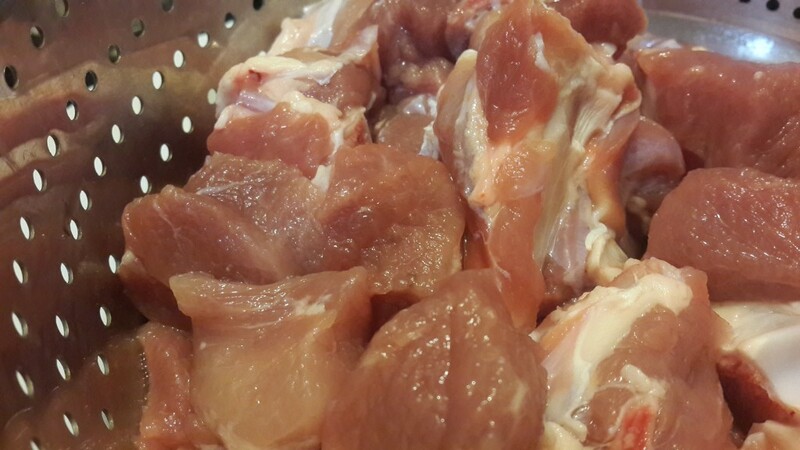 Wash and drain the mutton pieces. 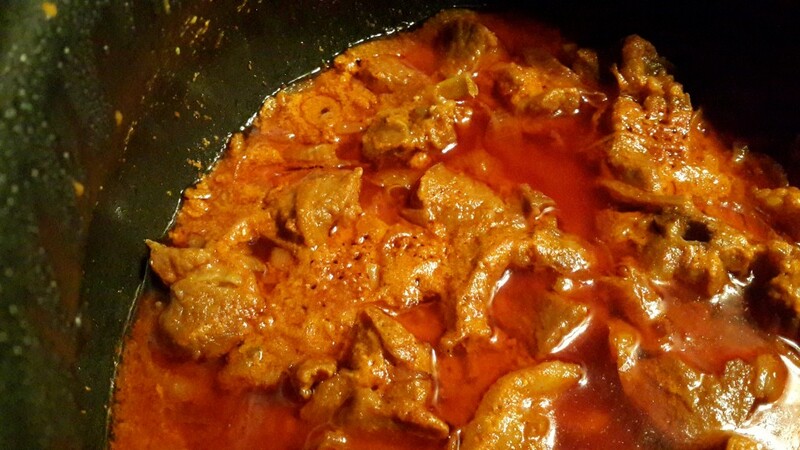 After it drains for about 5 minutes, sprinkle about 1.5 teaspoon of salt over the mutton and rub it into the mutton. Leave aside in the colander. Place a metal cooking pot on the stove, on medium heat. When hot enough, pour in the ghee and allow it to heat up – remember that ghee should not be so hot that it begins to smoke. Being a traditional Rajasthani dish from the days of the maharajas, this dish calls for generous quantities of ghee and chilli. To experience the dish for what it is, avoid restraint 🙂 and pour in that ghee, generously. When the ghee is hot enough, toss in the peppercorns and cloves and leave them to splutter. Quickly toss in the sliced onions. 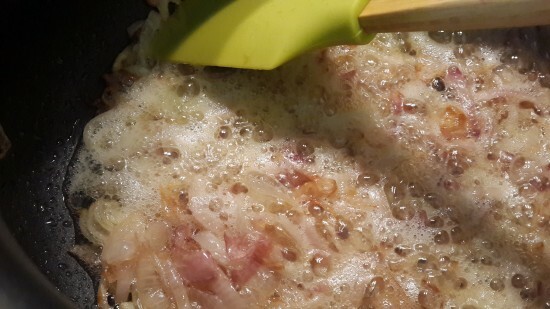 The onions should have enough ghee to gently brown in. Keep stirring from time to time. This should easily take about 10 – 15 minutes, or longer, on a medium flame. 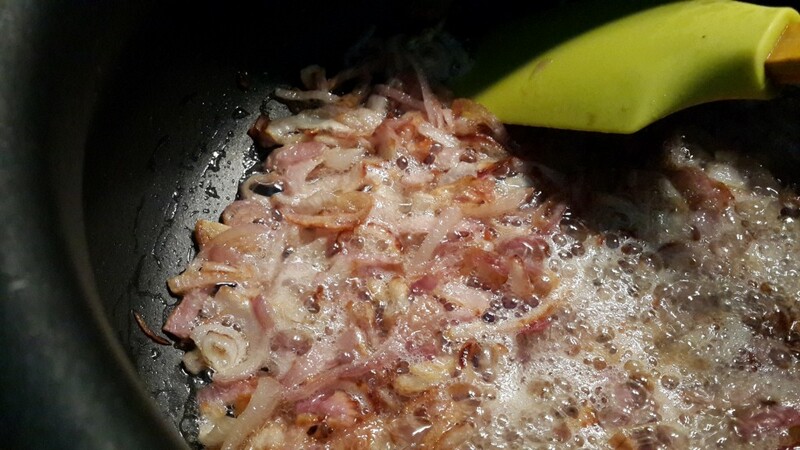 When the onions are a beautiful golden-brown, turn the heat to high. Now, add the ginger-garlic paste and turmeric powder in the centre of the vessel and leave it to stand, to cook off the strong smells of the paste and turmeric. 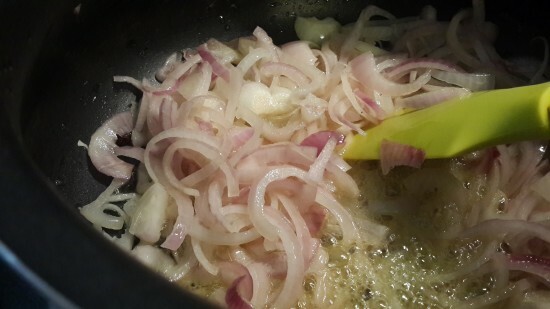 Now, stir it around with the onions and allow the flavours to blend for about a minute. 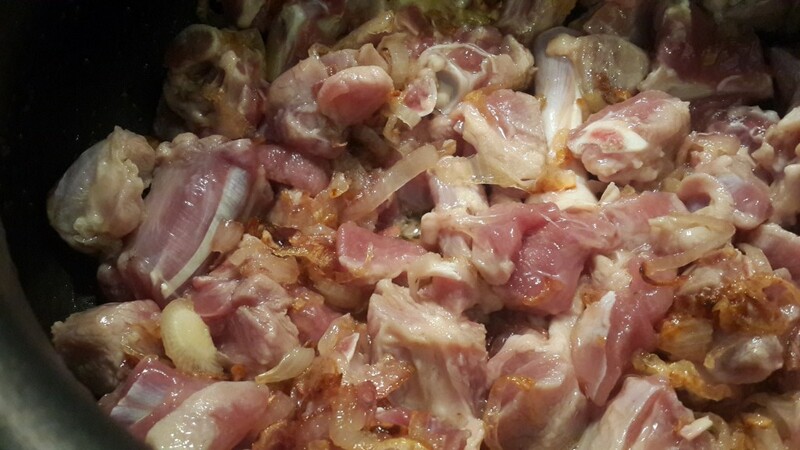 Toss in the mutton pieces and give them a stir to coat each piece with ghee and the flavoured onions. Add a sprinkling of sugar. Continue to sear the mutton on high flame for about 5 minutes. Then, lower the flame to medium and allow the mutton to cook for another 15 minutes. As the mutton cooks, take the bowl of curds and lightly whisk it. 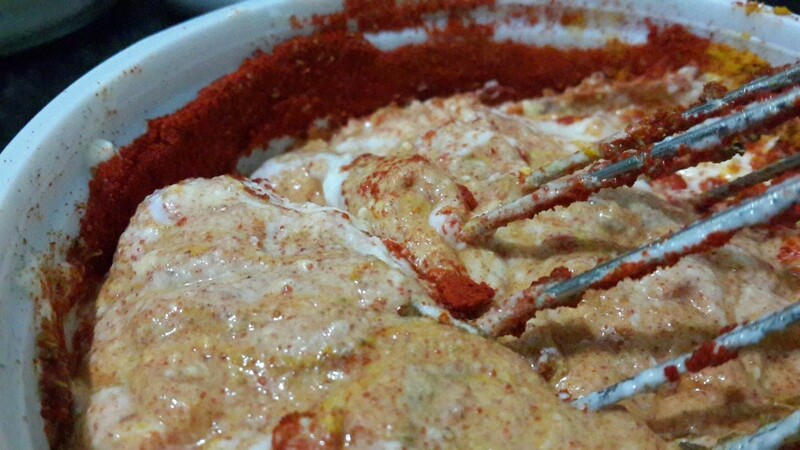 Add the red chili powder, coriander powder, cumin powder and ½ tsp salt to the curd. Whisk and keep aside. 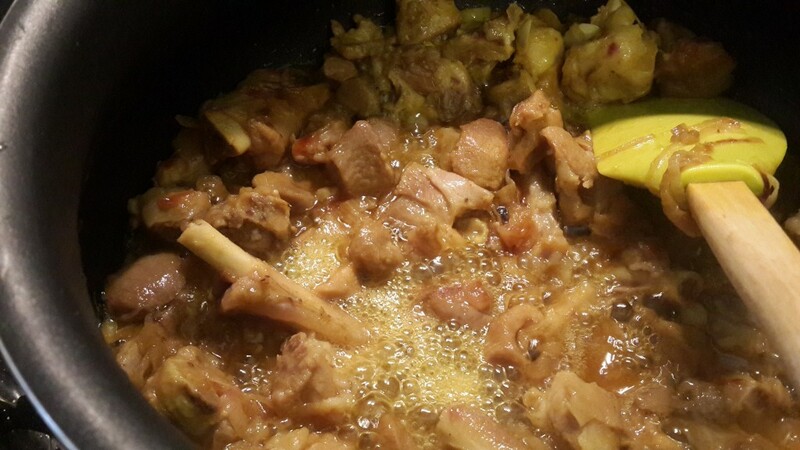 After the mutton has cooked for 15 minutes (as listed in step 8), add the curd mixture to the mutton. Stir well and leave to cook for about 5 minutes. Dry roast the cashew nuts and powder them coarsely using a mortar and pestle or blitz them in the grinder. 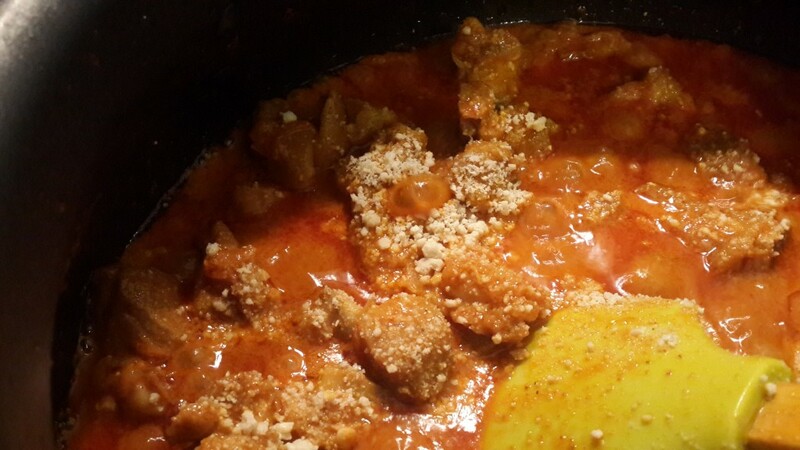 Sprinkle the cashew nut powder over the mutton and stir lightly. Cover the vessel and allow the mutton to cook. Make sure to now reduce the heat to low. 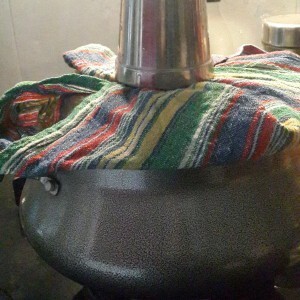 I usually place a damp cloth between the vessel and its lid to prevent the steam from escaping. 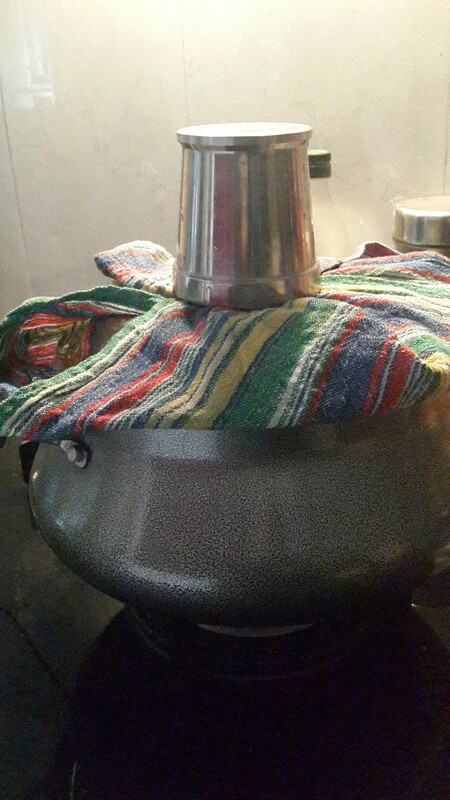 This ensures that your mutton stays succulent and slowly cooks in the steam and the heat of the spices. Alternately, place a thin layer of kneaded dough between the vessel and its lid to seal all gaps. Cook the mutton for about 45 minutes to an hour on a low flame. Remember that this dish can easily burn because of the absence of any added water, so keeping a check on the aroma is key. Open and check when you’re sure that the mutton is well cooked; it should be so tender that it falls off the bone. 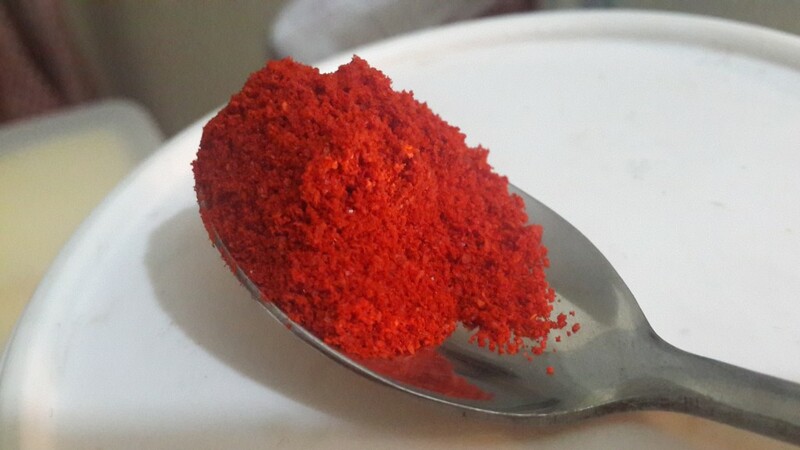 Your dish will have developed a rich red colour and you should be drooling…. right about… now! Adjust salt and red chilli, as required. Serve hot with rotis or with basmati rice. Although the combination with rice is a relatively dry option, it certainly is my preference. Note: If you prefer the dish with a runny gravy, add a cup of boiling water and allow it to reduce a bit. The gravy or rather the masala was lip smackingly awesome !! 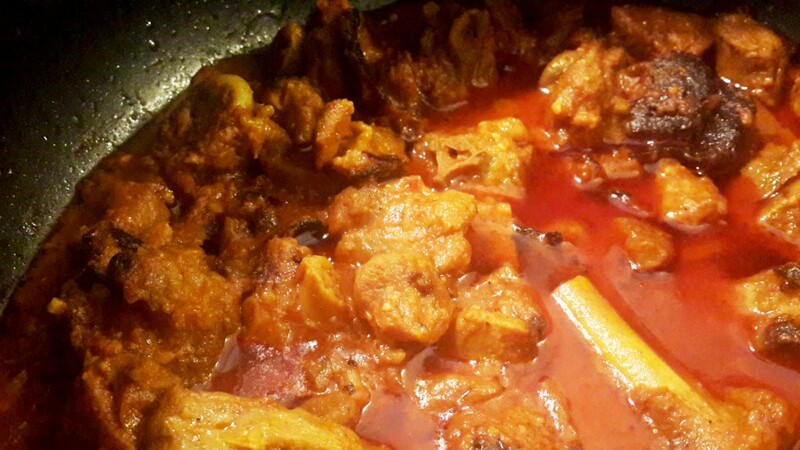 However the mutton while it cooked well it was not the most tender. Like you said it should fall off the bone…it did not. What could i have done wrong? 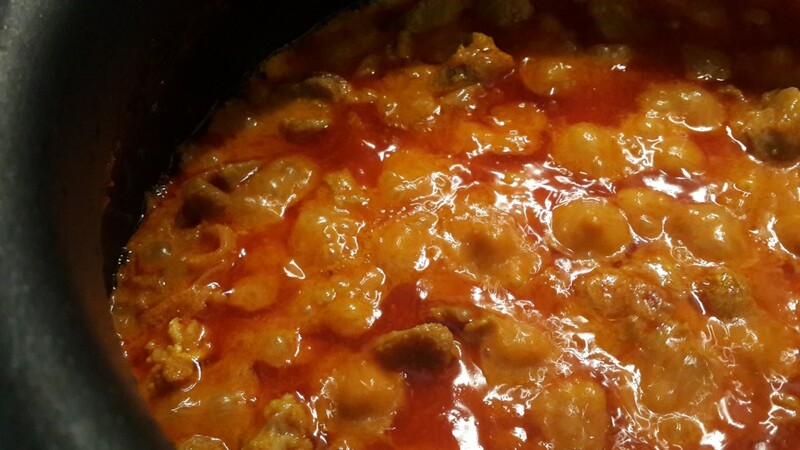 The only thing which was slightly different was that when i added the curd, i didnot cook the mutton for 15 minutes. I probably cooked for 5-7 minutes and added the curd. Did that make the difference? Wow Gauri! Thank you for such a lovely and detailed comment. I’m so glad that the dish turned out well and that you liked the outcome.